Social media is no more optional. Because for every action, there is an equal and opposite reaction, Plus a social media overreaction. Before going deep into the reasons WHY you need social media marketing, let’s first understand WHAT is social media marketing. Gaining website traffic or attention through social media sites is Social Media Marketing. It is the collective of communication channels committed to community-based input, content-sharing, interaction and collaboration. Over the past few years, marketing on social media channels have grown significantly. 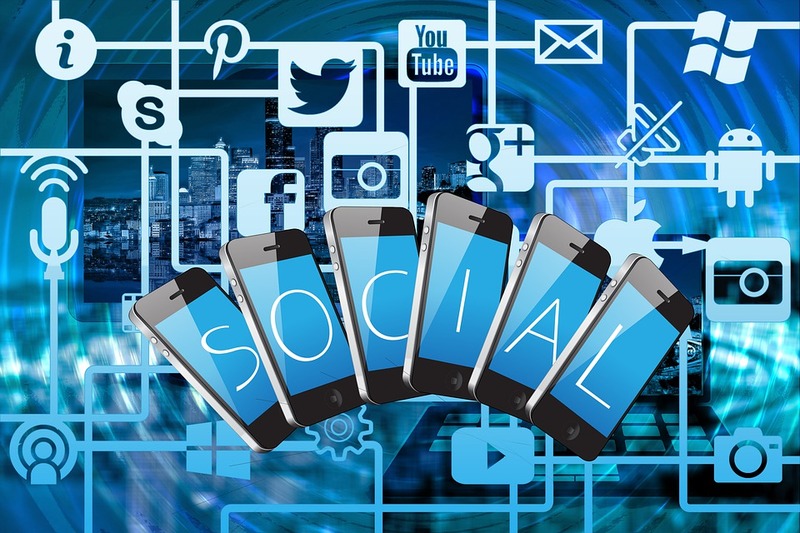 According to the report of Statistica, 95% young adults follow a brand via social media networking and the count of social media users at the end of 2018 would be 2.5 billion. 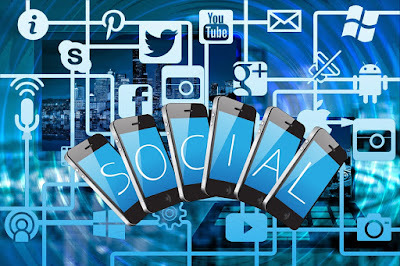 The number is huge still some people and entrepreneurs feel that Social media is just a buzzword with no practical advantage, they are good without social media, but let me tell you, you are not good without social media and YES you need it. Now that you know what Social Media is, let's go deep into the benefits it brings to your business. Marketing has become so much easier with social media, it not only allows you to reach more people, but also you can select your target audience, it gives you the freedom of choosing your audience which is not possible with conventional marketing. SEO is an essential exercise done in order to gain organic traffic and better ranking, Social media also boost your SEO. To earn customer’s trust having a social media presence has become crucial. If you are not engaging your audience in the active social media presence, then, you are seriously missing out on users trust factor. The advantage with social media is that it is easily sharable so if your user like something about your brand they don’t hesitate to share it with others which is beneficial for your brand. The average cost per click on Facebook ads, or Linkedin ads on target keywords are much lower than google AdWords. So basically social media ads bring traffic to your site quick, easy and economical. So it’s time to be wise and use social media Ad’s and save on your advertising budget. In a process of marketing your product/service on social media, you ‘ll probably join, follow many related pages and groups related to your product, industry and customer base. You’ll probably participate in discussion, or share links in these groups, which will help customer to check out your product and if they like it they become your customer. Did you know that more than 70% of B2C marketers have acquired customers through social media specially Facebook? And they use social media to help make a purchasing decision. Driving sales is one of the biggest qualities of social networking sites. Twitter’s Marketing Campaigns and Facebook’s Sponsored Posts are two of the most popular ways to market your products and services. Now that you know the importance of Social media marketing, make sure you choose the right strategy and the right channel for your business. Just posting status updates and images will not do any benefit to your business. Generating leads from social media requires a right combination of information and promotion posts which requires experience and insight. 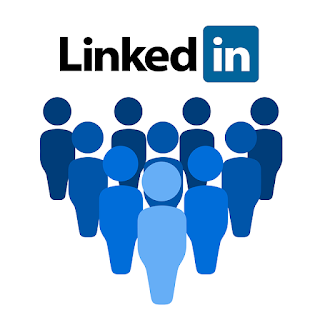 LinkedIn is quite effective tool if anyone looking to promote their business or even looking for a new job in these turbulent economic times. With more than 332 million registered users, LinkedIn is surpassing other platforms as the premier social media outlet for businesses. Many companies are finding customers through LinkedIn, which makes it critical for your profile to be found. 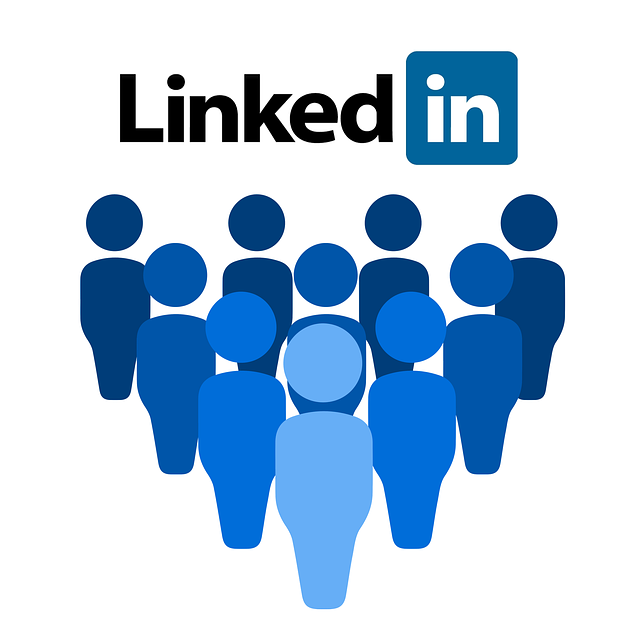 LinkedIn uses an internal set of algorithms to prioritize certain profiles over others, giving the businesses and individuals who have optimized their accounts correctly a leg up in using the service to find jobs, clients and more. If you're using LinkedIn for any of these purposes, getting a strong ranking in its internal search results should be your top priority. To really get the most from LinkedIn, you need to attract search engine traffic, and there are some minor tweaks you can make to your profile that will make all the difference in the level of search engine success you enjoy. When you create a LinkedIn profile you get a unique LinkedIn URL which contain gibberish letters and numbers which is fine for LinkedIn itself in terms of keeping track of you but for real human visitors this means absolutely nothing, and from a human point of view, a string of numbers can be very difficult to remember. LinkedIn gives you option of creating what's called a vanity URL that changes numeric string to your name if that’s taken, try recognizable iterations of your name. The goal is to get a URL that is immediately identified as yours. One of the most important ways to improve your position in LinkedIn's search results is to fill out your profile completely. Not only does this give LinkedIn additional opportunities to identify search-related keywords in your profile. LinkedIn even has a tool to help you fill out the various fields and they provide helpful suggestions along the way. Take the time and write out clear, honest, and accurate information. Don’t go overboard and write extremely long and verbose descriptions. Add new content on a regular basis, but don't spam LinkedIn by adding a bunch of irrelevant content, but as news and information becomes available that's related to your job or your industry, then make sure to include it as part of your LinkedIn updates or blog. Upload samples of your work, If you have videos/presentations/publications that qualify your expertise. you can actually improve your LinkedIn profile's visibility in the search results by expanding your network, Because LinkedIn looks at the size of your network. In particular, LinkedIn prefers to display results that have at least some connection with the search user -- even if these connections are only second or third level, rather than first level direct relationships. Participate in groups. Simply joining a group isn't as beneficial to your search ranking as actively engaging with it. Make yourself prominent. Building a great profile and then abandoning it is just plain mistake. Don't do that! Put a link to your LinkedIn profile on your email signature, your Facebook, Twitter Google+ accounts and any websites you maintain to create inbound links. Endorsements increase the strength of your profile and help keep you connected to your network. While these may not have carry as much weight as other elements of your profile, endorsements help add to the overall value of your professional profile. You can simply reach out to past and present colleagues for reviews it will make them happy that you sought out their input. Use a clear picture to upload where people can see your face. Especially if you have a common name. Being one of 450 Priya without a picture isn’t going to help anyone find you. Always remember to put a professional picture because LinkedIn is a professional network. Don't put a glamor shots or pictures of you taking shots at the shopping mall or a restaurant. Sharing content on LinkedIn is an amazing way to interact with your connections and most importantly, drive traffic to your latest blogpost, web content, project, etc. You can also put your latest work into the projects section. This adds yet another link as well as some more relevant keywords that help LinkedIn to know more about you. With follow through on these steps, you’ll likely receive more views and interaction. Good luck ! Please share your view in the comment below! 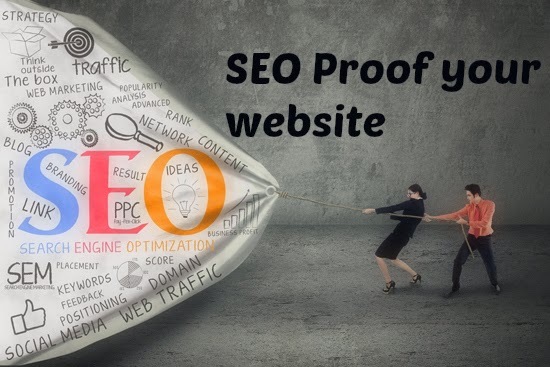 SEO Proof your website in few steps..! Change is inevitable, unavoidable. We live in a world which keeps on changing, No matter how much we want to avoid it but we can't avoid it, and web is no exception to that. Few years back Flash animation were very popular, Web designer were using it quite frequently but soon it lost its charm because of its non-support to touch interface, lower power devices, and open protocols in the mobile era. This change was frustrating as all the flash friendly websites needed to update to stay competitive and contemporary. As I said we can’t stop as well as avoid change, but there are certainly things which can help us to gain traffic and proof us in the fast changing world, and even increase the current version’s lifetime. Following are some favorable features for long term web trends. Having a mobile friendly website is vital if you value mobile traffic and it is integral to a higher conversion rate. It has been a trend in last year and it is going to grow even more this in 2015 year. It provides better user experience also Google is increasingly favouring mobile friendly websites in their search rankings and showing ‘mobile friendly’ labels in the mobile search results. Website that loads quickly is of heightened importance as mobile use grows. By resizing images, utilizing caching, and a CDN you can speed up your website dramatically in a short period of time. Social media play very important role in SEO. Social media is a good source of referral traffic and serves to diversify your marketing mix. An active social profile is a good web property to rank for keywords and website ranking. Meta tags are one of the important elements of SEO. Meta tags have been around since long time. They have been a big part in search engine history. They were valued as a factor in rankings before – until people started abusing their use in getting on top of the SERPs. After that, Google opted meta tags out of the ranking factors. But it doesn’t reduce the importance of meta tag, it still play quite a big role in SEO. Meta tags are the words that are hidden in your code. People browsing your site will just not be able to see them. The search engines still read them for it to have a simple, summarized idea of what your site is about and what exactly your keywords are. To acquire business, It is very important to provide the information your customers are seeking on the Web. This not only helps your search engine traffic but also provides content for other marketing channels such as social media and email. By having high quality content that draws in and retains visitors, your conversions and sales are likely to increase. And by emphasizing interesting visual content, your social networks can benefit from more shares and followers. While it can seem difficult to stay up to date and have new features into your website, However by having a plan and keeping your website up to date, you’ll be better positioned for what lies ahead. Top Reasons why you should outsource your Pay Per Click Account? Pay-per-click advertising is the power that drives Google, Bing, Facebook, Linkedin and billions of dollars of business worldwide. It requires knowledge, expertise and good strategy to run a successful PPC campaign. If it is not done properly, you will find yourself paying outrageous cost per clicks , without getting first page bids and you will receiving extremely low quality scores. It sound convenient to have someone in house to manage your PPC account but is it really worth of the cost you have to bear to hire someone experienced and competent to run your ppc campaign. You have to pay handsome salary, perk and other benefits. Whereas outsourcing your ppc account to experienced and competent professional team will cost you much less than what you have to pay for having in house team. An agency has to deliver results week-in week-out or risk losing your business. Whereas in house employs have the job security and you can’t kick them out for mediocre performance. The pressure of delivering excellent results is constant in the agency and ultimately drives better performance. To successfully optimize and maintenance of PPC account requires lot of involvement and dedication. It also requires at least 10-20 hours a week of consistent monitoring. Now Outsourcing your PPC Account can free up your time and allow you to focus on your core competency with a peace of mind that your PPC account is managed by professionals. The account Managers must know the latest developments in the industry and have deep knowledge and understanding of how to increase ROI. Agencies have a strong ethos towards learning new technology and development in the industry. Team workshops and learning sessions are a regular part of agency culture. Whereas the in-house environment typically lacks that, Which eventually reflects in the PPC campaign performance. While you work really hard to be assure that every link of your site goes to a specific web page, but there is always a chance that a link clicked will slam dunk and become a 404 ERROR PAGE NOT FOUND. Now let's do a quick analysis : what do you usually do when you encounter a "404 File Not Found" error? Do you: Click on the BACK button of your browser and go somewhere else? that's what we all do. Custom 404 is a web page which is being used by all websites to show the error when someone enters into a broken or not found location. In other words, when you enter an incorrect address then the custom 404 page appears. Basically, In that page the error message and some options are added for better navigation. Different web server handle 404 page differently. The .htaccess file is what Apache web servers use to allow you to fine-tune your web server configurations at a directory level. That's it. You are done. Now you just need to put a 404.php file in the main web directory for the above directive to work. You have to create your customize 404 page where you can provide the user some way to locate the document they want, or a link to your main page, with a suggestion that the visitor can find what he/she wants there. you can also provide a link to your site map, which lists all the pages on your website. If you know of frequently mistypes URLs on your site, you can even put links to the correct location directly on the page, so that visitors who arrive there from outside can quickly get to the correct page. When you're done with your 404 page, upload it together with your .htaccess file to your website. Then test it by typing a URL that you know does not exist. You loose your visitors when they encounter a 404 File Not Found error on your site, you work really hard to obtain those visitors through the search engines and third party links. 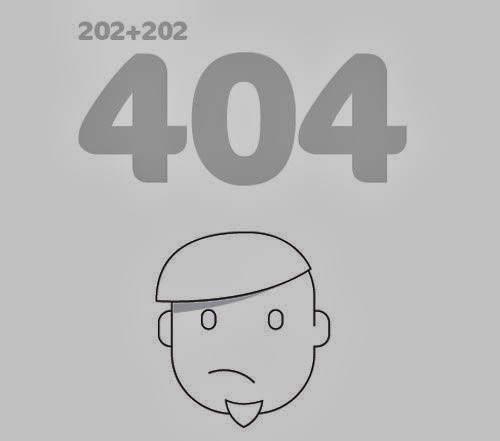 Creating your customize 404 error page allows you to minimize the number of visitors lost that way. Thanks for reading my blog. enjoy..
Labels: custom 404, customize file not found page. To start with a Search Engine Optimization(SEO) project, it is important to understand the process involved in an effective SEO campaign. Usually the primary goal of SEO process is to increase the number of visitors by improving SERP rankings for targeted keywords in major search engines. 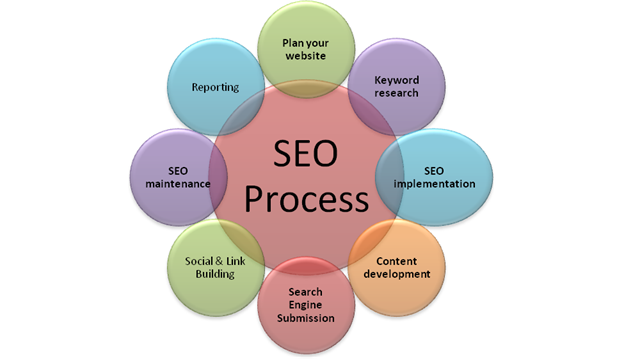 In SEO Process we take into account following steps while developing a website. 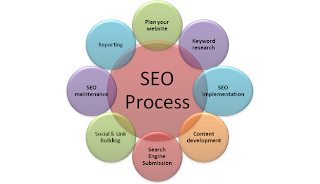 Proper execution of these steps ensures us a good SERP ranking. What it is that I am offering to my customers? what are the combination of words can clearly describe my product/service? What is my buyer persona, where is my target market? what is my target market's decision making process? Who are my competitors? how are they serving to their customers online? Do speak to your friends, colleagues, family members to come up with relevant term for your product/service. try to be innovative. Keyword phrase research involves identifying a group of keywords that will be used in optimization. This step is quite crucial and critical which requires a considerable amount of time and understanding to find a good set of keywords that offers a balanced combination of high usage of search and relatively low competition within the search engines. Once done with the keyword phrase selection, Now we need to do a through competitive analysis of our site with the top competitors. We need to see the alexa ranking, inbound links, domain age, social media presence and following of our competitors. we also need to check the indexed content of the competitor sites. After this process we are in a moderate condition to identify the area of work for us in order to acquire good ranking against the competitors. Now that we are done with Keyword phrase research now its time for some implementation work. If your website url is too lengthy or complicated then there are chances of loosing your potential raking, because Google recognizes that site URLs get abused and may not like keyword stuffing. So, stay away from deep pages (more than 3 levels deep), because 2-3 levels are more than enough for most small business websites. The general accepted length of title is around 64 to 75 characters. however shorter titles mean that each word inside the title has more weight, but title length shouldn't be lesser than 50 characters. descriptive enough to be able to explain what to expect on the page. H1 is the second most important element of the on-page optimization (after the title). so make sure It contains your focus key phrase. Relevant image can significantly increase the appeal, conversions and revenues. but make sure your images are size-optimized, and ensure that alt attributes are descriptive of the image and not keyword-stuffed. Content is king, its your online wealth. Content is king for search engines as well. Search engines loves high quality, relevant content related to your domain. High quality, good content will serve you in may ways. A site filled with high quality content will give its user to stay longer to your site also it gives a valid reason to come back to your site. They will spread good word for you, you will get good word of mouth for your site. You get good ranking in search engine because you are offering good content and that is what search engines want. Search engines will give you higher ranking in compare to the site which are not having good quality, highly relevant content. So if your site is loaded with good content you can easily get higher ranking for your keyword phrase without putting too much of extra effort. Website submission to search engines is no longer as critical as it used to be few years ago, because all the major search engines have their spiders that will visit your site if a currently indexed site is linking to one of your pages. However, there’s a few things to keep in mind to simplify the process of search crawl and speed up your indexation. You just need to prepare your website for search engine submission by having a sitemap.xml file in your root directory (i.e. arkence.com/sitemap.xml). The sitemap.xml will tell crawlers the structure of your site in a language crawlers understand. Once you are done with the sitemap work, its time to let the search engines know who you are. All the major search engines has a webmaster central. That's where webmasters talk to search engines. It’s a good idea to create an account with Google, Yahoo! and Bing so that you have access to their Webmaster areas. Social media has added a new dimension to how brands market their goods. social media provides tremendous opportunities for companies willing to commit the time to use it. Social media gives the power of sharing your thoughts online. Social media marketing can help elevate your audience and customer base in a dramatic way. 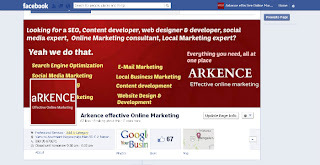 we at Arkence effective online marketing help our clients to establish a social media presence and consult with the client on how best to use their social media profiles to share site content and connect with the potential customers. Link building is quite crucial because the more sites link back to you the more authority your site has in the eyes of a search engines. It’s better that people tell good things about you, rather than you go and talk about yourself. Good Quality link to your site increases the likelihood of both the search engines’ spiders running across your site as well as searchers looking for product/service of yours. Google views links to your site as votes for your site and rewards the site accordingly provided they are linked from high quality as well as relevant sites. The reporting that is done in the initial phase of the campaign is done again at regular intervals, post-optimization. Rankings, site traffic and other key metrics can then be compared to pre-optimization levels, which will give measurable results to the SEO campaign. Analytics is very important, Google Analytics is very user friendly and useful tool for analytics. Establish goals and check how your site has performed in the specific month. Make adjustments to your efforts as needed. Sometimes it’s better to leave things as they are for another reporting period. Major result change usually takes some time. According to a new infographic Social media now accounts for 18% of time we spent online. Since 2006, the amount of time that the average person spent on social-networking sites has more than doubled, from 2.7 hours to 6.9 hours per month. Now more people are using social media, as well. While only 24% of Americans had a single social-media profile in 2008, now it has reached 56%. Between the different social media sites, Facebook is, unsurprisingly, king. The average Facebook user spends almost seven hours each month on the site. This data is sufficient enough to show the importance of facebook in our life. Facebook is a cost effective way for individuals to stay in touch with friends and family. Now businesses are started recognize its potential for building relationships with customers. Facebook has over 600 million users, and more than 50% of them log in daily. It allows their users to store information, pictures and videos to share with each other, have online conversations by posting messages and responses. Marketing activities that would cost thousands of dollars/Rupees through other channels can be done on Facebook for a fraction of the cost. Which makes it ideal for small to medium businesses with a limited marketing budget. You can encourage existing customer to promote your page also you can attract potential customers to click 'Like' button on your Business page. Once they like your page they will receive all your updates on their wall, where their friends can also see it which will eventually increase the fan base and also it will help to build awareness about your business. Facebook can analyze all the information that millions of users enter into their profiles. As the owner of a business page, you can pay to use this information to deliver targeted advertising depending on your buyer persona's. Customers can post after-sales questions on your Facebook wall, and your staff can answer to them there itself. This is often more efficient than staff answering phone calls, and allows other customers to read common questions and answers without having to approach you individually. You can interact with your existing as well as your potential customers by posting and receiving messages, Sharing information related to your business that useful for your customers, You can educate them about the usage of your product or service. It will increase your credibility and help you to develop a long term relationship with your customers. On you have a Facebook page you can describe about your product and service, contact details, address, operation hours etc. If yours is a local business customer he can visit your office which is an added advantage of your Facebook page. You can also upload picture and video on your Facebook page it will allow your customers to see demo or details of your product or service. You can also 'Tag' photos if your staff or team members are there in the picture which will again increase awareness about your company. 'Photo tagging' has immense potential for travel and tourism and e-commerce business. You can add link to your website on your Facebook page.It gives extra traffic to your website. Visitors who come to the website can be exposed to stronger marketing messages and, often, the option of buying goods and services. Customers who come to your website from Facebook are likely to be more receptive than the average visitor, because they already know something about your business and were motivated to click the website link. "Facebook Places" allows users to check in on mobile devices at a particular place, so that their friends can see their location on Facebook. Facebook Places also identifies popular places close to where a user checks in. Businesses can use Facebook Places and when a user checks in to a neighborhood, street or business, they receive a list of nearby businesses offering deals. 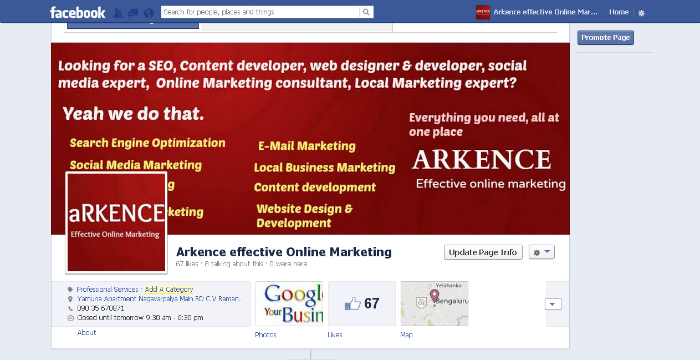 Businesses that have a Facebook page are automatically included in the Facebook Places directory. Want to learn more about Social Media Marketing Strategy? Step by Step guide of how to create Google+ Business Page. copyright © 2013-18 Arkence All rights reserved. |. Simple theme. Theme images by luoman. Powered by Blogger.